The Franklin County Animal Rescue sat vacant on Friday, save for Toki, an immense white and brown cat who stalked the halls like he owned the place. For now, Toki, three other cats and a brood of six kittens are the only residents in the shelter, which shuttered in April because of financial woes. He meandered past vacant "cat condos" and rubbed affectionately against the legs of Kelly Frederick, who was hired in July to fix the failing organization. Frederick hoped to find a new home for Toki, who'd been adopted once and then returned to the shelter. It's one item on a long list of challenges she's faced in her job as transition manager for the cash-strapped St. Albans shelter. There were also phones that broke last week and kittens left — abandoned — in front of the shelter. Frederick shrugged. "I'm the boots on the ground," she said. Officially, the 30-year-old part-time employee was hired to help resuscitate an organization that had all but flatlined: It has no full-time employees, hardly any income and remains mired in financial difficulties. Also complicated is the shelter's relationship with the community. The closure reverberated around the county, leaving in its wake angry former staff members, overwhelmed town officials and upset animal lovers. Some locals, though, have rallied around the organization, hoping to pull off a massive fundraising campaign to reopen the shelter by this fall. Frederick and the organization's all-volunteer board hope to reopen on September 30. That gives them two months to raise $100,000, hire seven employees and complete a host of renovations on the dingy building. The money woes began in the last few years. The shelter spent more than $68,000 housing eight dogs seized during a 2015 animal cruelty case. Then in March 2016, the animal rescue organization purchased a building for a spay-and-neuter clinic. Revenues, though, weren't as high as they had hoped. Alice Astarita, a financial consultant for nonprofits, joined the board in October 2016. At the time, she said the board was aware of the money issues, but its members had no idea the organization was headed for financial collapse. By the time she ran the numbers during the winter, she discovered that the organization was on track to end the fiscal year at a $65,000 loss. There was little choice, explained Astarita: If the shelter didn't close, it would go bankrupt. The board gave a one-week notice to its 11 employees, and then shut down the shelter. The closure rattled the community. It was a standing-room only crowd at a La Quinta Inn & Suites conference room, where the animal rescue hosted its first public meeting on April 10. Many community members complained of a lack of transparency. A few alleged fraud and misconduct. That wasn't the case, board members contended. "Rumors were flying around town," said Mary Ann Westover, a former board member. "There was a lot of anger." Ron Bartemy,* a 65-year-old St. Albans resident, described attendees as "up in arms." His wife, Selina, had been a long-time employee at the shelter and news of the closure was "dropped on them like a bomb." 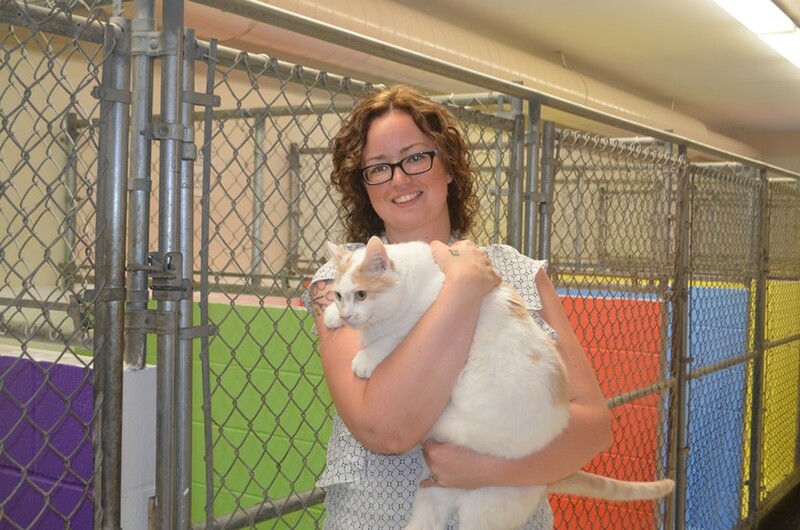 "She's poured her heart and soul into [the animal rescue]," Ron Bartemy said. "I just feel like she really got slammed pretty hard." Three board members, including Westover, resigned after the public meeting. A combination of factors in Franklin County — an agricultural community with high rates of poverty where many animals are not spayed or neutered — creates a need for a shelter, said board chair Karen Taylor Mitchell, who joined after the closure. At capacity, the shelter can hold 23 dogs and 30 cats — numbers it often exceeded, according to Frederick. Last year, 766 animals made their way through the shelter. The universal sentiment about the closure has been one of sadness. 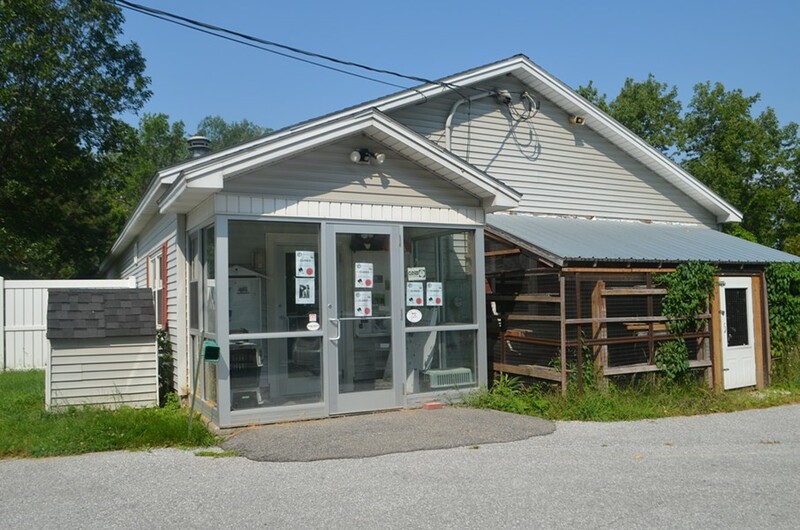 "People were surprised, upset, worried about the future of the shelter," said Donna Howard, owner of The Eloquent Page bookstore in St. Albans. "Everyone wants it to continue." It's become a community effort. In late April, a volunteer found a note posted to the door of the Franklin County Animal Rescue. Police planned to euthanize a colony of feral cats near the building. Within days, a group of volunteers rounded up 34 feral felines. A vet donated his time to spay and neuter the animals and the board hired a temporary staff member to work the phones to find them homes. The rescue has since put 37 cats in foster care. A volunteer comes daily to the shelter to feed the remaining cats, including Toki. The board recently has kicked into high gear. They met weekly for months, often talking late into the night. They've started to hold fundraisers, including a tattoo-athon — a $100 donation to the shelter gets you a paw print tattoo. A donor wall honoring those who give is planned at the shelter, while a GoFundMe campaign raised nearly $14,000. They've brought in a board of advisors, including well-known community members "willing to lend their name and credibility" to the cash-strapped organization, Mitchell said. It's only a drop in the bucket. Mitchell estimates the organization will need a budget of $346,000 to operate, plus an additional $50,000 for renovations that began recently: fixes to the ventilation system, making the space more welcoming and mold remediation. Funding comes primarily from donations. About 240 people pay the $25 annual fee to serve as a member of the organization. Mitchell admitted the money woes keep her up at night. "It's a long uphill climb," she said. 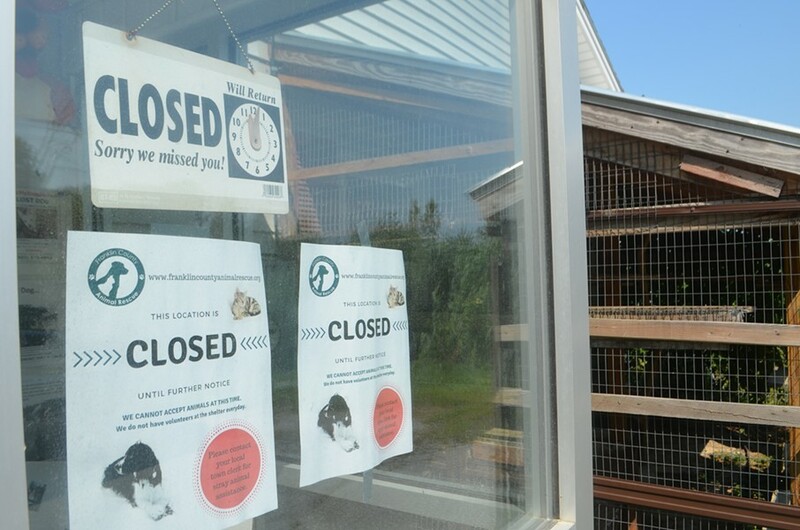 The Humane Society of Chittenden County has agreed to take lost or stray animals from three Franklin County towns — St. Albans, Bakersfield and Fairfield, said Nancy Cathcart, the Chittenden shelter's CEO. Animals from those towns fill close to half of the humane society's available spaces, she said. There are still some who are concerned about the shelter's management. Coleen Veino, an animal control officer from Fairfield, said she's heard no communication from the board. She worries that even after the shelter opens, they won't contract with her town, leaving her in the lurch when she finds an abandoned animal. Howard, from the bookstore, said business owners offered to fundraise for the shelter, and never got a response. Dave McWilliams, who helped found the organization in 1964, was amazed at the speed with which the organization fell into ruin. The shelter had received several large bequests in the last few years — one nearly $200,000, he said — and still wasn't able to retain solvency. "People still believe in the humane society," said McWilliams. "But they want to have it more out in the open — what are they doing? Why are they doing it?" For some, a love of animals keeps them coming back. Though she resigned from the board after the closure, Westover started volunteering nearly 40 hours a week. She estimates she's adopted a dozen cats over the years. She still has faith that the shelter will reopen. "Franklin County has been really blessed with the volunteers we have," Westover said. "It takes a village." *Correction, August 16, 2017: A previous version of this story misidentified Ron Bartemy.